Samuel Johnson was born in Malahide, Ontario, Canada on September 9, 1857. His family moved to Almont, Michigan when he was three years old. In 1879, he married Emma Almeda Gibbs with whom he had two sons, William and Samuel. He came to Berkeley on a few years before his death in 1905 and established himself as a successful lumber man. Minneapolis millionaire J.H. Queal purchased the Scott & Van Aisdale lumber mills on the McCloud River in Siskiyou County and renamed them the McCloud Lumber Company. Queal made Johnson the president and general manager of the company, which was one of the largest on the West Coast. 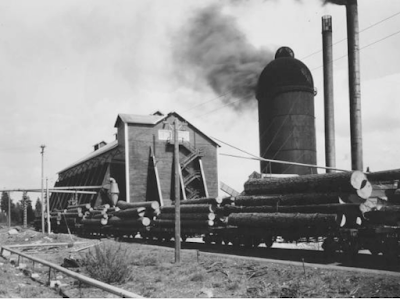 At it's height, the McCloud River Lumber Company owned or controlled over 600,000 acres of timberland. The company had extensive logging operations that produced the logs needed to keep the sawmill running, along with an extensive railroad system connecting the woods operations with the mill. 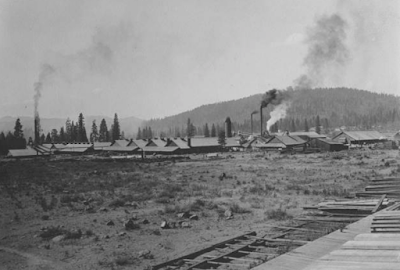 Some of the railroad system was owned and operated by the McCloud River Railroad Company, but the vast majority of the railroad operation were owned by the lumber company. In July 1905, Johnson fell ill with Bright's disease, a condition involving chronic inflammation of the kidneys. Friends and business associates came from all over the country to be with him during his surgery and recovery, but he he died the following month. 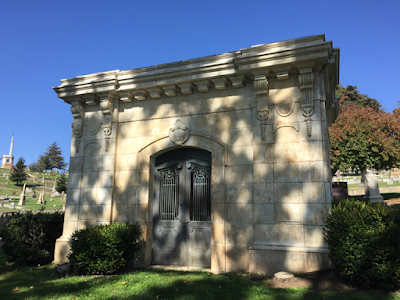 He is buried in the Johnson family mausoleum by the second fountain on Mountain View Cemetery's main road. Jefferson Maury (1826 1895) was born in Virginia and may have been descended from Rev. James Maury, teacher of Thomas Jefferson, James Madison, and James Monroe and grandfather of Commodore Matthew Fontaine Maury, known as the father of modern oceanography and naval meteorology. Maury entered the U.S. Navy at the age of 15 and received his warrant as a Passed Midshipman in 1847. The following year found him in the Gulf Squadron, participating in the Mexican-American War. In 1854 he was stationed in San Francisco and a year later left the service. It is not known when Maury joined PMSS, but shipping records indicate that in 1862 he commanded the company s S.S. Northern Light, a wooden-hulled steamer with side paddle wheels and three masts on a sailing between Aspinwall, Panama and New York. In the 1860s, he was relieved of his duties when his ship ran ashore in China, despite an investigation showing that it was not through an error on his part. He eventually became captain of the S.S. America, followed by the S.S. Atlantic, both plying the same route. From 1866 until 1870, Maury was master of the S.S. Arizona, which his future neighbor, Captain Seabury, would take over in 1874. At one time he was the oldest person to hold the title of Commodore in the fleet. In 1894, when Captain John Slater built his house at 1335 Shattuck Ave., he was joining two other master mariners who had settled on the same block a decade earlier. They were Jefferson Maury and William B. Seabury, both high-ranking captains of the Pacific Mail Steamship Company who ended their careers as Commodores of the PMSS fleet. While Captain Slater commanded square-rigged ships, Captains Maury and Seabury were at the forefront of the mechanized age. 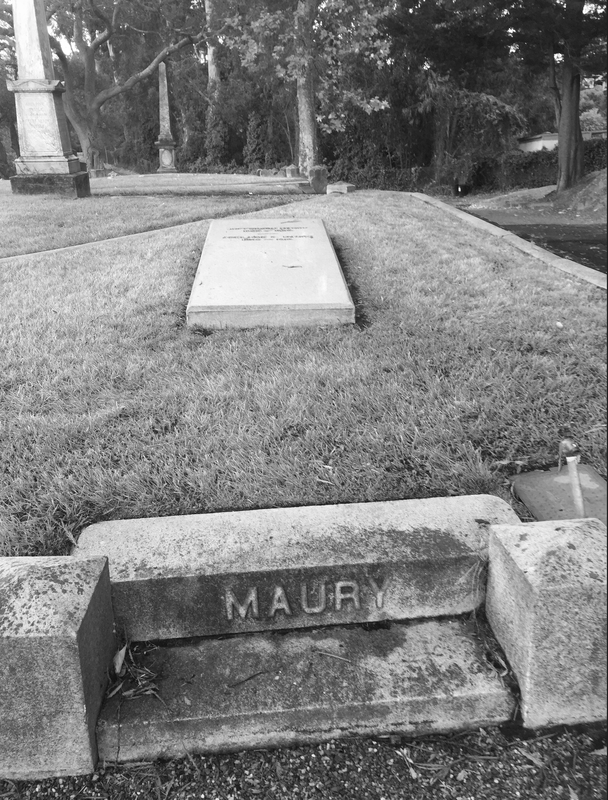 Captain Maury died suddenly at midnight on January 1, 1895. The Berkeley Advocate reported that he had suffered from heart disease. 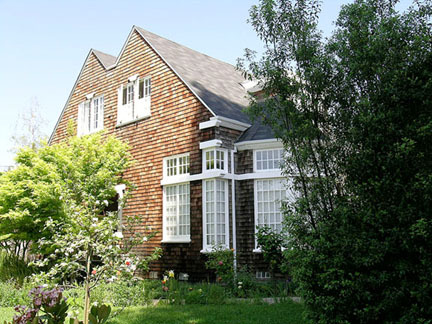 His wife, Adelaide Maury, continued living in their home at 1317 Shattuck Avenue in Berkeley until her death in 1916. [Biography taken from the Berkeley Architectural Heritage Association and Martime Heritage. Additional information from the Berkeley Gazette]. Andre Hicks, who was known as "Mac Dre," was born in Oakland and grew up in Vallejo. He was an American rapper, and the initial founder of Thizz Entertainment, and the now defunct Romp Productions. Mac Dre recorded his first three EPs albums between 1989 and 1992. In 1992 Mac Dre was charged with conspiracy to commit robbery and was sentenced to 5 years in federal prison after he refused the deal the police had offered him, which was informing law enforcement about his partners. While in Lompoc, Mac Dre would go on to obtain his G.E.D. and record his album "Mac Dre Presents: The Rompalation" over the phone, taunting law enforcement officials. After his release from prison in 1997, he recorded his second album Stupid Doo Doo Dumb. Mac Dre was killed around 3:30 AM on the morning of November 1, 2004, on U.S. Route 71 in Kansas City, Missouri. Along with members of Thizz, he was scheduled to perform in Kansas City on October 31, but the group had a dispute with the club promoter about their payment. A group of unknown assailants in a stolen black Infiniti G35 began shooting at the white van in which Hicks was a passenger. The driver crashed and was able to get to a phone to call 911, but Hicks was pronounced dead at the scene from a bullet wound to the back of the neck from an AK-47. The case has remained unsolved for years, but police believe that fellow rapper Anthony "Fat Tone" Watkins was the likely person to call for the hit. Six months later, a San Francisco rap promoter nicknamed "Mac Minister" and a friend avenged Hicks in Las Vegas by firing 33 assault-rifle rounds into two Kansas City men, including Anthony "Fat Tone" Watkins, who was killed. The viewing was held at Mount Calvary Baptist Church in Fairfield, California to a packed crowd of 2,000 people. When the body was moved to Mountain View Cemetery there was a near riot, as only 100 people could fit into the chapel for the service. Allegedly, even the singer's father had a difficult time gaining entry. The service was officiated by former Oakland Raiders running back and Pastor Jerone Davidson of Fairfield's Bountiful Harvest Ministry Church. Mac Dre was buried in a platinum-plated, stainless steel basket lined with cardinal red crushed velvet, protected by a fiberglass shield. Visitors commonly visit his graveside under a hillside oak tree an leave mementos. His notoriety and fame have only grown in death and his tombstone has been stolen on at least one occasion.